If you are in search for a simple and flexible theme that would bring out the message on your website we might have exactly what you are looking for! CyberGames is an unhackneyed, professional and user-friendly theme that will immerse users into the neoteric world of technological advancement. Thus, whether you are a gamer wishing to share your experience and give walkthrough tips, a programmer who wants to pass on knowledge, or a news reviewer searching for a theme that will create an adequate atmosphere for your ideas, CyberGames will be a superb solution! 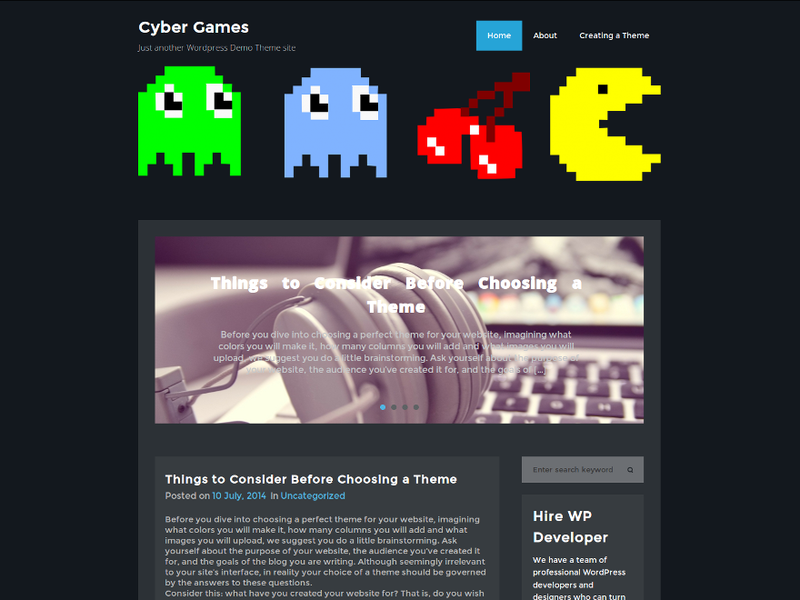 CyberGames Wordpress Theme in Wordpress, Blue, Custom Menu, Fixed Layout, Left Sidebar, Microformats, Sticky Post, Threaded Comments, Translation Ready, Two Columns, White.